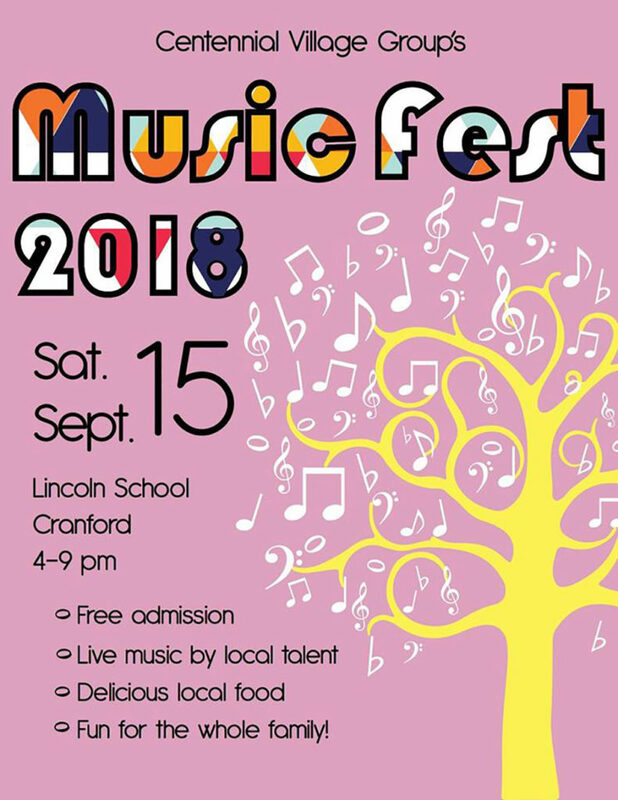 On Saturday, September 15, 2018 the Centennial Village Group will be holding its 11th annual Music Fest outside of Lincoln School, 132 Thomas Street in Cranford, NJ. The event begins at 4 p.m. with music and festivities lasting until 9 p.m. Admission is free. Bring your lawn chair and enjoy an evening of fun family entertainment featuring live music from local artists. The event will be headlined by Brother John Brown and Michael Reisman. Other local talent who will be performing include Alexa Adubato and Mike Young. In addition to musical entertainment, there will be a 50/50 raffle and Tricky Tray. The Tricky Tray will feature one month of unlimited yoga lessons at Home Power Yoga, Riverside Inn gift cards, New York Giants tickets, and more. Stop by to try your luck with the Tricky Tray and enjoy an afternoon of great music, food, and time with neighbors. All proceeds will go towards helping Centennial Village Group’s beautification efforts in the area. The Centennial Village Group is made up a volunteers dedicated to the revitalization and beautification of the Centennial Village area in Cranford. In addition to Music Fest, the group holds an annual 5K race to raise funds for its continual efforts to improve the community. For more information about the Centennial Village and the group, visit facebook.com/CentennialVillageGroup.